It was this time last year when high-profile actors like Rose McGowan, Salma Hayek and Gwyneth Paltrow came forward with accusations of sexual assault against famed film producer Harvey Weinstein, launching the anti-sexual abuse #MeToo movement into the social justice stratosphere. Now, in 2018, the Me Too movement is still heavily discussed amongst the media, especially since Dr. Christine Ford had recently accused confirmed Supreme Court Justice Brett Kavanaugh of sexual assault. Even though Me Too is a hot topic in political discourse, has the attitude towards survivors and perpetrators of sexual abuse changed? In short: somewhat. While there has been a shift in overall awareness of sexual assault, there’s a big divide between how today’s youth perceives the mass amount of people coming forward as survivors. Some believe that Me Too is an empowering movement for survivors of sexual assault and their accounts should be taken as true; others believe that the movement is a ‘male witch hunt’ and has caused an influx of accusers looking for attention. The latter is simply incorrect. Those who oppose Me Too should know that men have also felt empowered by the movement. It isn’t just for women. A majority of participants happen to be women, but that doesn’t mean male survivors don’t deserve recognition. Many male celebrities have participated in Me Too and disclosed that they were survivors of sexual assault, including “Brooklyn Nine-Nine” star Terry Crews and renowned movie producer Tyler Perry. While a few individuals involved in the movement could be more inclusive to male survivors, the movement as a whole is accepting and embracing of survivors of any gender. Despite what those who disagree with Me Too say, claiming the movement is an attack on men, many of them dismiss cases of men who have been assaulted or raped. It isn’t uncommon to see incidents of boys who were raped by older women posted on social media with comments demeaning and undermining the boys’ struggle. They completely invalidate the trauma the victim experienced just because he was a boy, saying he should feel lucky that something so horrible happened to him. Sadly, it seems that male survivors of sexual abuse are only brought up by those against Me Too as a ‘Gotcha!’ moment in debates. They don’t bother to stand up for them otherwise, only when it’s convenient for their viewpoint. If you truly want recognition and justice for male survivors, be an advocate for them instead of using them as a cheap point in an argument. They deserve to be heard and deserve space in a movement against sexual misconduct, that includes LGBT men and men of color. As for the “people lying for attention” case, it’s disgusting and just plain wrong to assume so many people would lie about such a grave matter. According to the BBC, only 2-10% of reported rapes in the past 20 years were deemed false. On top of that, a person would not go through the horrors of coming out as a victim and call out the perpetrator for five minutes of fame, especially right now, in a time they must reopen their emotional wounds while cynics pour salt in them. It’s too much of an ordeal to lie about and it’s too harsh a world to be hyper-critical of those who have come forward. In the current case of Dr. Ford and Kavanaugh, there is no incentive for her to lie. She’s a well educated woman; she has the recognition and the wealth. What else could she be looking for? The televised event on television wasn’t even a trial in a court to try to criminally convict Kavanaugh, it was simply a hearing held for Ford to speak her piece, or in her words, do her “civil duty” to speak out against him. Despite all the efforts Ford took to expose Kavanaugh for possible assault, he was still confirmed, putting into question whether the movement has had a significant political effect on Washington and the rest of the country. 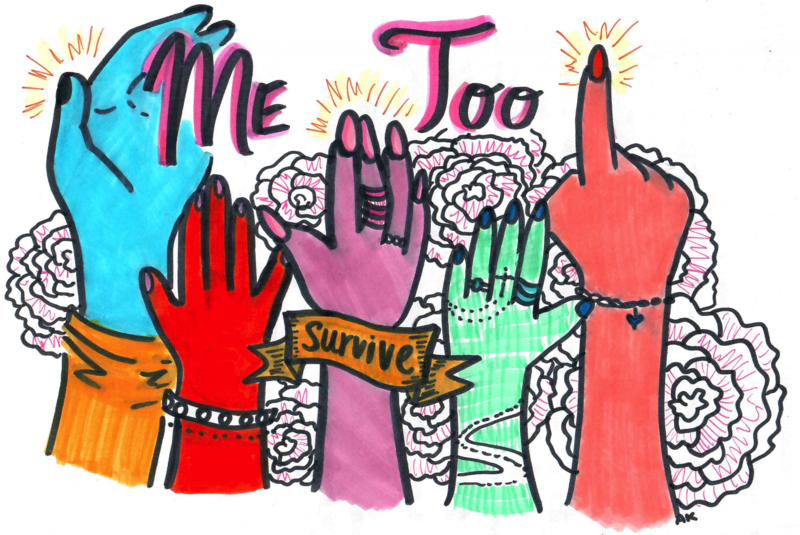 Me Too has succeeded to raise awareness of sexual assault, but the true goal of empathizing with and supporting newly emerged victims of sexual misconduct have only resonated with a portion of today’s youth. I urge the student body to be more compassionate to survivors of sexual assault. Not only could the criticizing comments towards people who have come out as survivors hurt the person themselves, but also the community of survivors everywhere. You don’t know who is a victim of sexual assault, they could even be one of your close friends. It’s important to be sympathetic towards others because you don’t know what they’ve been through. If you are a survivor of sexual assault, you can call the National Sexual Assault Hotline at 1-(800)-656-4673 or talk with a trusted friend. There are many people who support you, even in a such a hard time to be a survivor.